The LSC pump is a submersible single-phase portable residue drainage pump. The specially designed bottom plate enables the pump to drain down to 1mm water level. 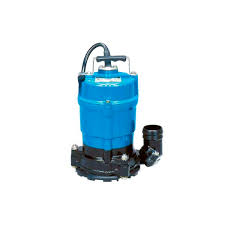 The pump also has a nonreturn valve to prevent reverse-flow of the water when the pump stops. The rubber lined base plate protects the floor surface from damage. The wear parts are made of abrasion-resistant materials for durability. 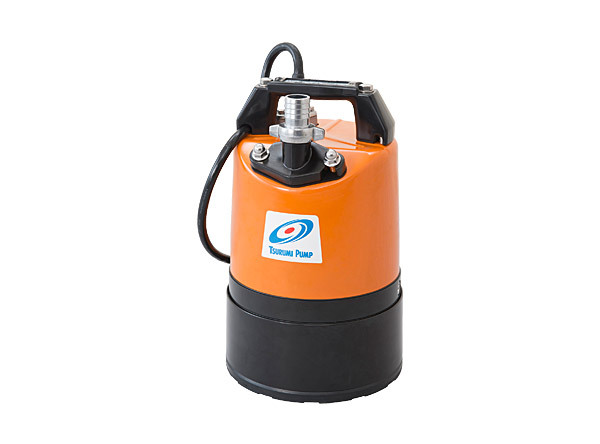 The Tsurumi HSR pump is a submersible single-phase portable residue drainage pump. The specially designed bottom plate enables the pump to drain down to 1mm water level. The rubber lined base plate protects the floor surface from scratching. Though the pump is a single-phase unit, it has the durability equivalent to three-phase drainage pumps, since the wear parts are made of abrasion-resistant materials.